We knew it was only a matter of time until the Zombies of the universe sought out the richness of Redlands. But we are prepared! To help you steer clear of those frightful creatures the Redlands Fright Night Run has been scheduled for Saturday, October 24th, at Sylvan Park. It’s a 5k-ish course that ventures into the Zombie infested streets of Redlands where the living dead, will be waiting for you. Runners will embark onto the ghoulish streets of the course, with life flags hanging from their waste band. Every runner will have just one goal, to reach the end of the course with at least one life flag left. But danger lurks at every corner, throughout the run, before you dare to expect it; Zombies will be waiting for you and will be hungry to take your life flags from you. Your job is to find your way to safety at the finish line and once there you can party with both the living and dead. After running scared you can share the horrors of your victory in the beer garden if you’re 21 or older or you can hang in the After Life party zone with friends sampling delectable treats from the “to die for” food trucks. Not a runner you say? Are you a zombie? You can join the wrangles and their army of zombies that are lying in wait along the course, as humans try desperately to avoid your efforts. 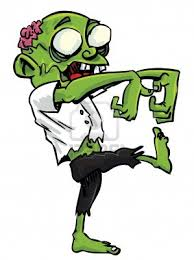 If running is too much like work and you are just too nice to be a Zombie then you can sign up to be a Good Samaritan (Volunteer) prepared to help the humans find safety at the start line, finish line and places in between. Little ones can join in the fun at the Itty Bitty Zombie Zone, where their very own course will include fun and games, with prizes, and holiday treats.